I love to cook with fresh and fragrant spices. 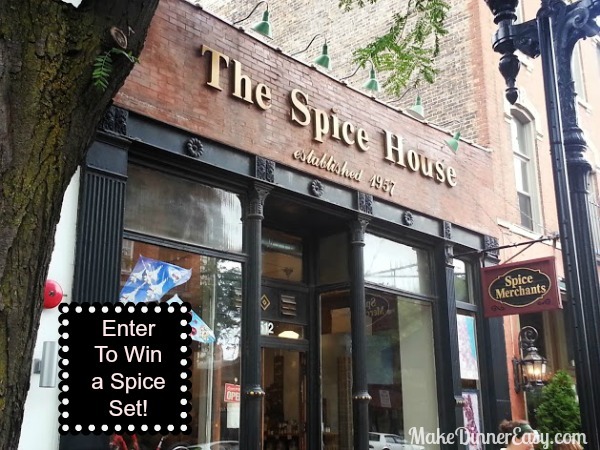 I recently took a tour of The Spice House in the Old Town neighborhood in Chicago and found a gem of a place. In addition to introducing you to this store, I have a special treat for readers of this site. 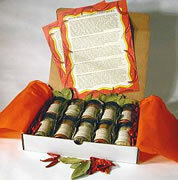 By completing the form below you can enter to win a a terrific boxed set of their barbeque spices. Let me take you on a tour and then show you how to enter this giveaway! 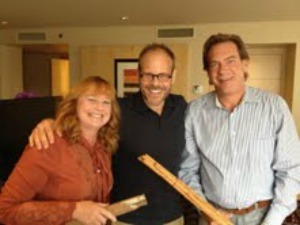 The Owners of The Spice House, Patty Penzey Erd and Tom Erd are shown here after a recent pod cast they did with Alton Brown. They provide wonderful spices to their customers and have won the respect and recognition from top chefs! During my visit I was amazed at the variety and freshness of the spices. You are encouraged to taste spices by sprinkling a small amount from tester bottles into the palm of your hand. When you are deciding between four different types of cinnamon, it's helpful to taste which one you prefer! 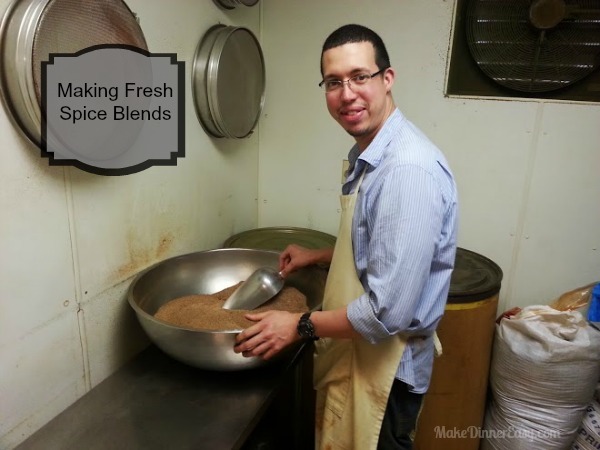 They not only grind their own spices (over 100# of cinnamon is ground weekly!) they also mix up their own custom spice blends as show below! Special thanks to Patty and Tom Erd of The Spice House who will be shipping a 10 Bottle Deluxe Grill & Barbeque Spice Gift Box (valued at $49.95 + shipping) to the winner of this giveaway. Please use the form below to enter. I'm giving you a few options for ways to enter depending on whether you use Facebook, Twitter, Pinterest, or none of those. You can enter by selecting one, some, or all of the methods below. The more methods you use the more entries you will have, and the greater your chance of winning. You'll need to be 18 years of age or older and live in the Continental US to be eligible to win. This contest runs from 11:00 PM EST on 8/7/13 and will end at 9:00 PM EST on 8/15/13. See the form below for all contest rules. The winner will be randomly selected by Rafflecopter. Good Luck! Enter to Win this 10 Bottle Deluxe Grill & BBQ Spice Gift Box! If you live too far away to visit The Spice House in person, you can take a virtual tour by checking out the pictures I took while I toured their store! Also, if you don't live near Chicago, or one of their many suburban locations, I discovered you can also order their great spices on-line.